Building stepwells (Baori in Rajasthan) has been a necessity under northern India’s hot summers. These wells acted as rainwater harvesting systems and they were a cool oasis in the parched hot summer of this area. The temperature difference between the surface and the lowest depths of these wells could be 5 to 6 degrees. The earliest were made around 550 AD, but famous ones like Chand Baori were made during medieval times. And from those times, over 3,000 stepwells were built in India’s two northern states. Rajasthan and Gujarat. Chand Baori in Abhaneri, near Jaipur, Rajasthan is propbabaly the largest step well in the world and perhaps the most visually spectacular stepwell. Chand Baori is an incredibly geometric sight; it is a deep four-sided structure with an immense temple on one face. 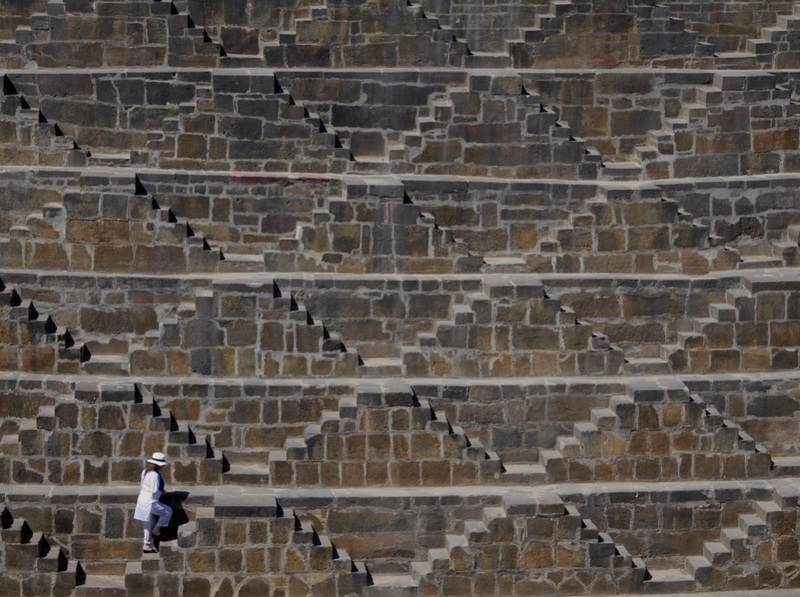 3,500 terraced steps march down the other three sides, 13 stories, to a depth of 100 feet. The construction dates to the tenth century, and is dedicated to Harshat Mata, goddess of joy and happiness and is believed to have been built by King Chand, ruler of Abhaneri and a Rajput from the Chahamana dynasty. 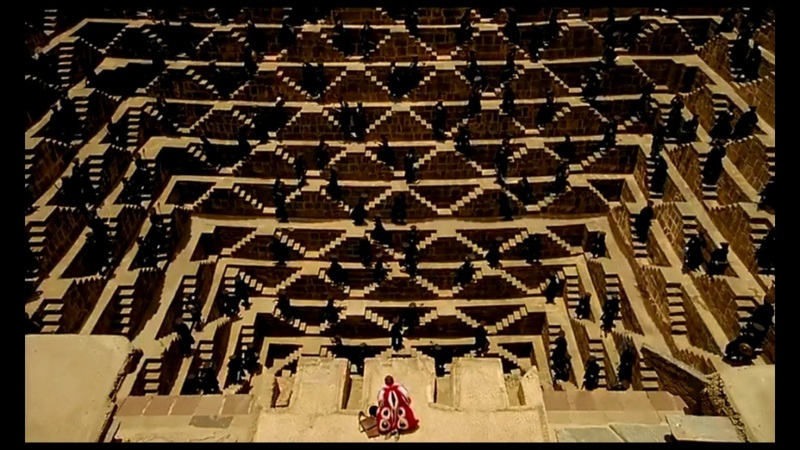 Chand Baori is also well known for being the location where Batman gets imprisoned in the “ The Dark Knight Rises” and for the movie “The Fall”. 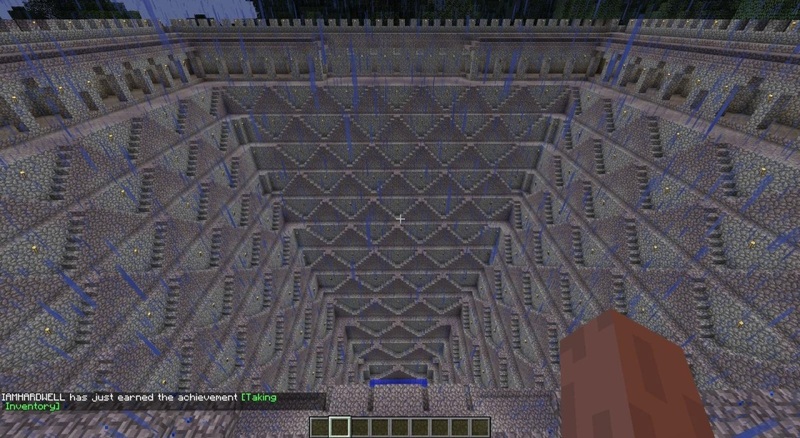 A version of the game “Minecraft” is also based on the Chand Baori.